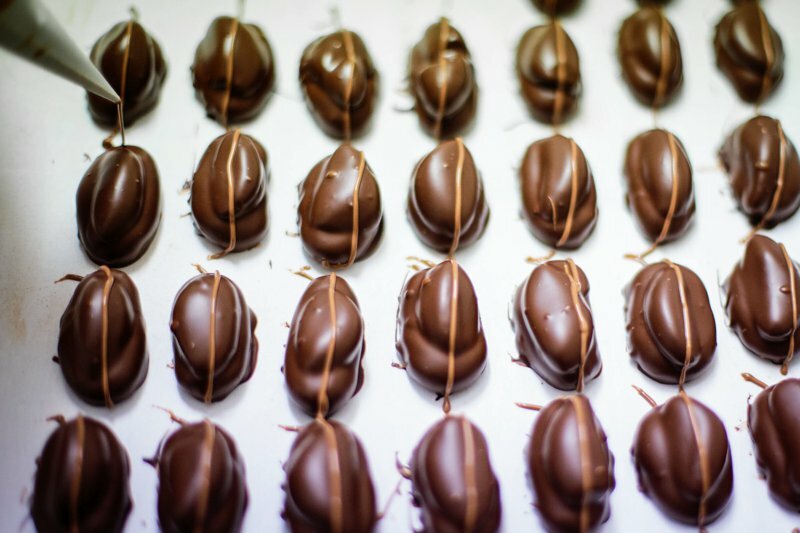 Chocolate Country prides itself on being the highest quality chocolate producer in the region. 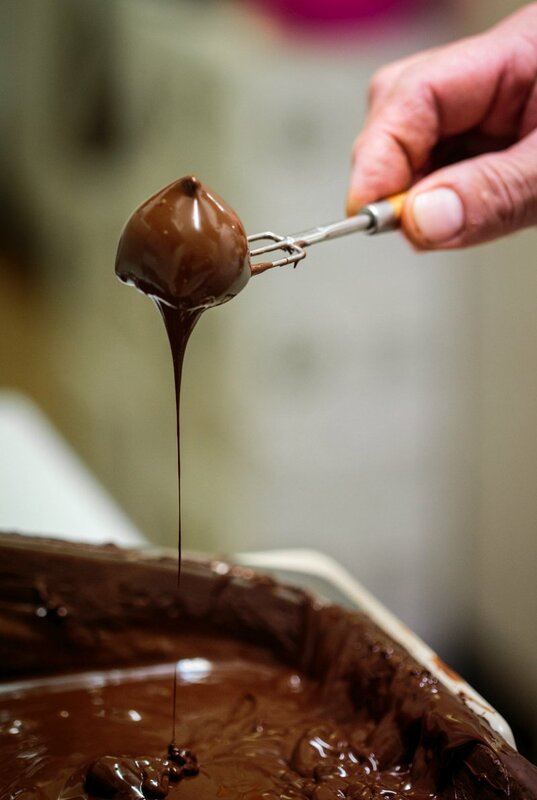 We exclusively use Belgian chocolate, and source only the finest natural ingredients, using local products wherever possible to create a delicious array of truffles, chocolate slabs and novelty gifts. 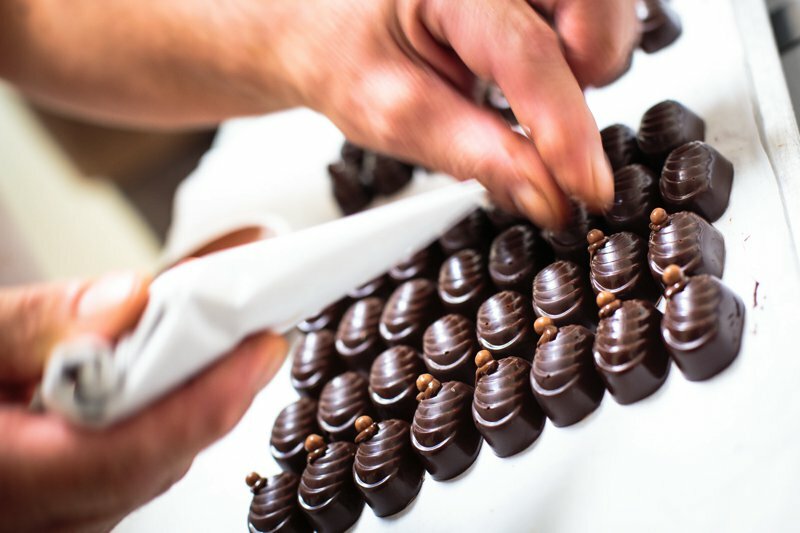 Our Chocolatiers work in store to hand-make our extensive range of artisan chocolates in small batches to ensure freshness, producing unique products that both look and taste divine. We are committed to giving all of our customers a truly enjoyable experience. 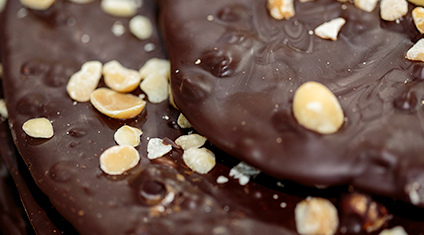 We always have samples and tasters available so you can try our chocolates before you buy. 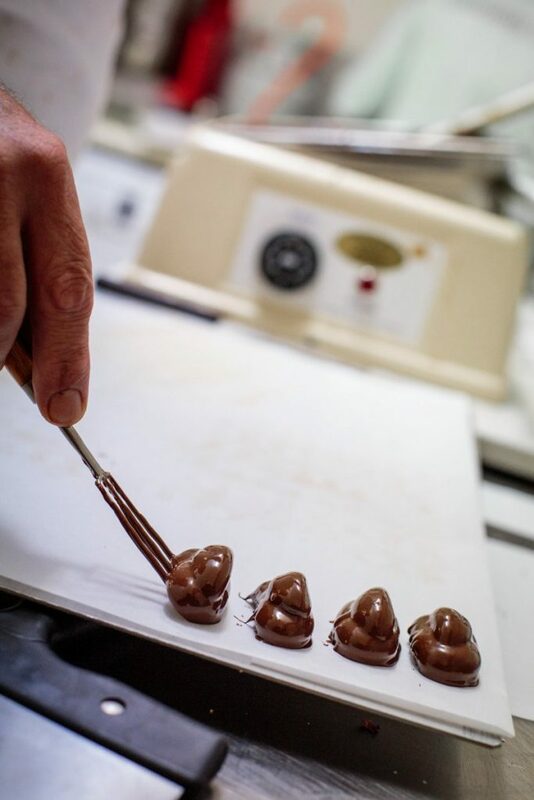 Not all chocolate is created equal, so when you come to Chocolate Country you’ll really see what world-class quality means, taking your chocolate experience to the highest levels. 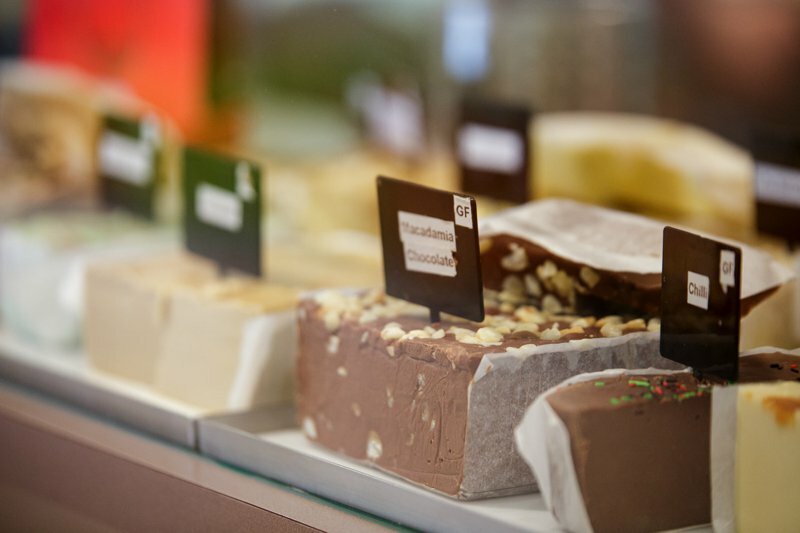 Our range of fudge is a favourite for many who visit us; and all made in house, too. Taste test it for yourself…You’ll be delighted! 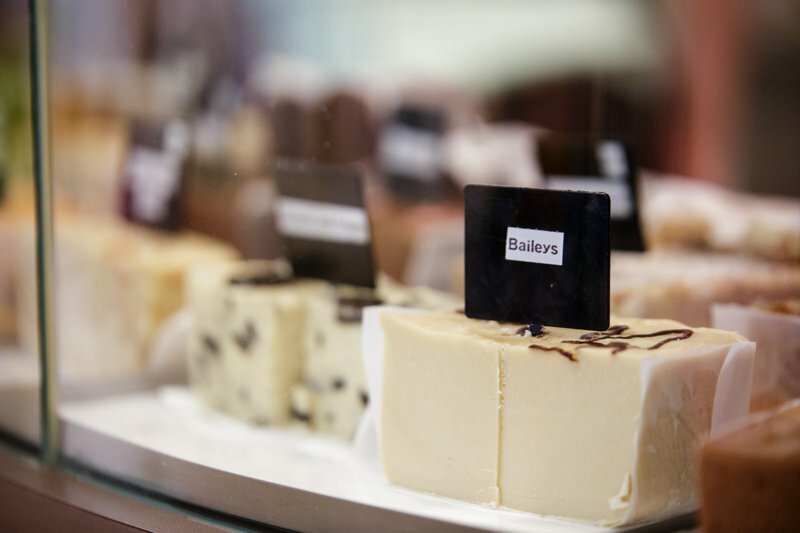 We have specially designed boxes to fill with your choice from our range of 42 different truffles. 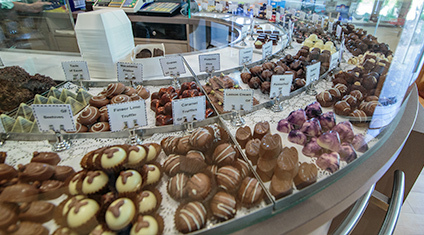 You may feel overwhelmed with choice, but whatever you choose, it will be Heaven-in-a-Box! We also cater for weddings and other special occasions. Our team will listen to your needs and work with you to find your perfect solution, even offering complete custom made products to your specifications. 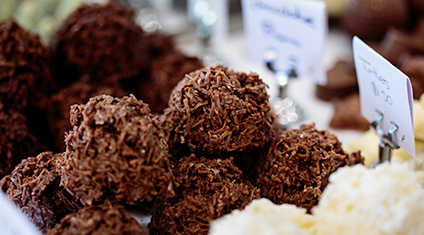 Your guests will be delighted that you have chosen Chocolate Country to supply a truly bespoke product for your special event. 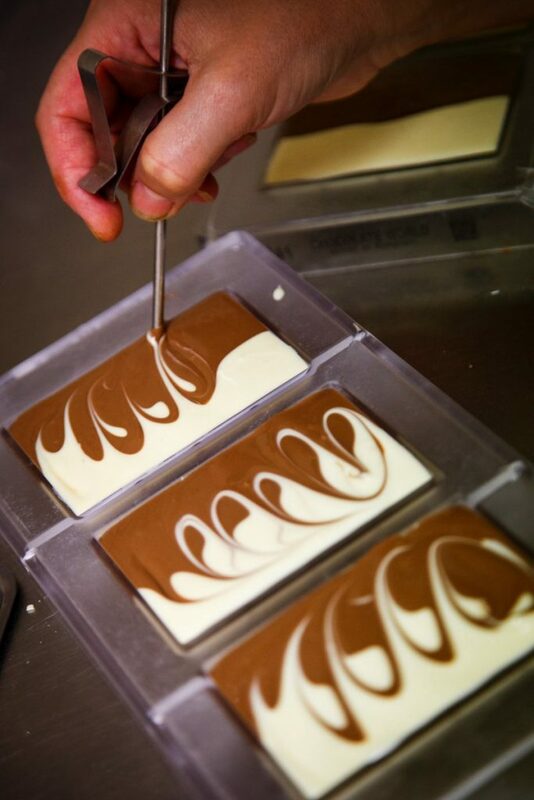 All our chocolates are produced here in Montville on the Sunshine Coast Hinterland.